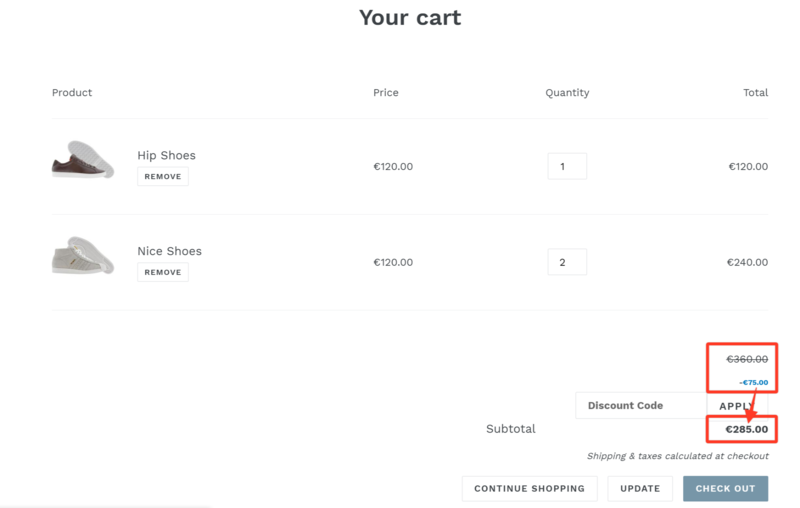 In the example cart page below, the customer gets a fixed discount of 40.00 based on the total purchase amount of at least 400.00. 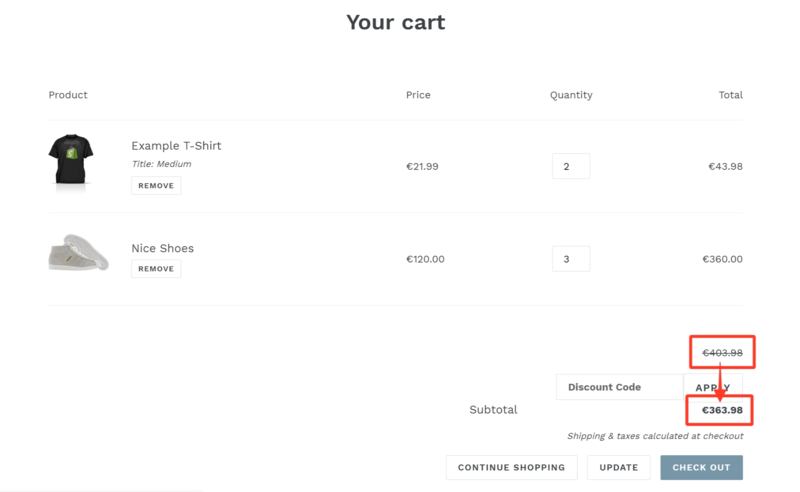 In the example below, the customer gets a discount of 75.00 because the offer is set for three items. The offer will also apply if he opted to buy three pairs of Hip Shoes only or three pairs of Nice Shoes only, instead of buying the combination. How do I set up discounted pricing for different variants of the same product? Can I create a bundle offer with mixed products in it?